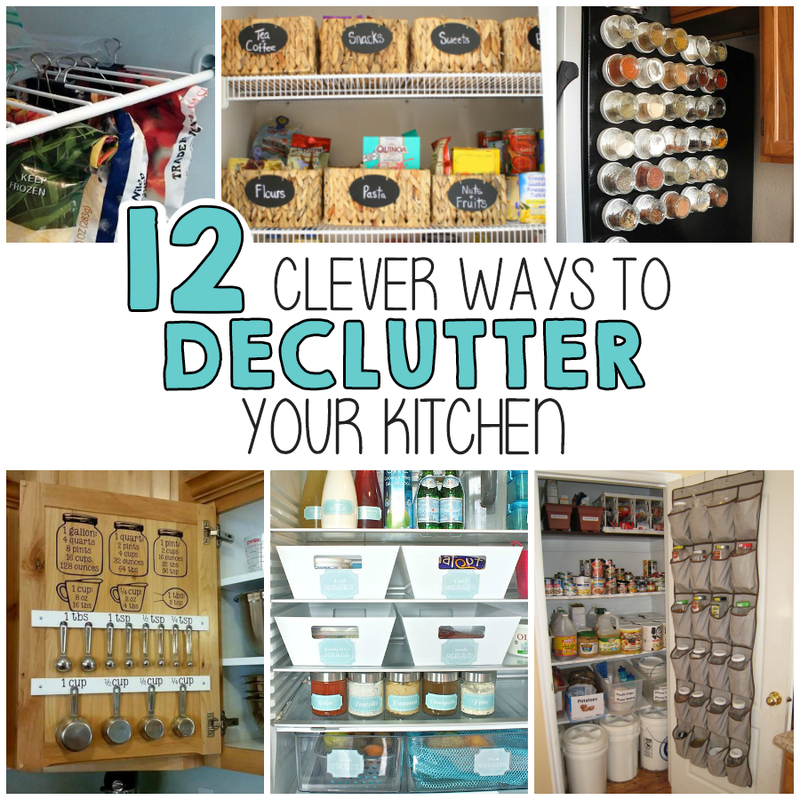 Looking for ways to clean and declutter your kitchen? You will love following these decluttering tips to organize everything in your kitchen from – your pantry, fridge, cabinets, and under the sink storage! The one room in our house that I can never keep up with is my kitchen between a fridge full of leftovers, sippy cups taking over my cabinets, and drawers full of mismatched tupperware containers and lids, it’s a never ending battle. I seriously cannot stand looking at a mess, so I’ve put together a bunch of organizing tips to declutter your kitchen. Take it slow, a day at a time or transform your kitchen in a day, from mess to YES with our tips below! Minimize Your Clutter – First you’ll want to grab your supplies, we used a box for donations and our Glad Kitchen Pro Trash Bags. They’re Glad’s biggest, strongest kitchen trash bag, they have the same great protection as kitchen bags with the capacity and strength of an outdoor black bag. Being a family of four we go through a lot of trash, from diapers and food, you name it. So I love to have these on hand. But being that today we’re going to be discarding expired food and who knows what else in our refrigerator you’ll want to make sure your trash bag is up to the task. 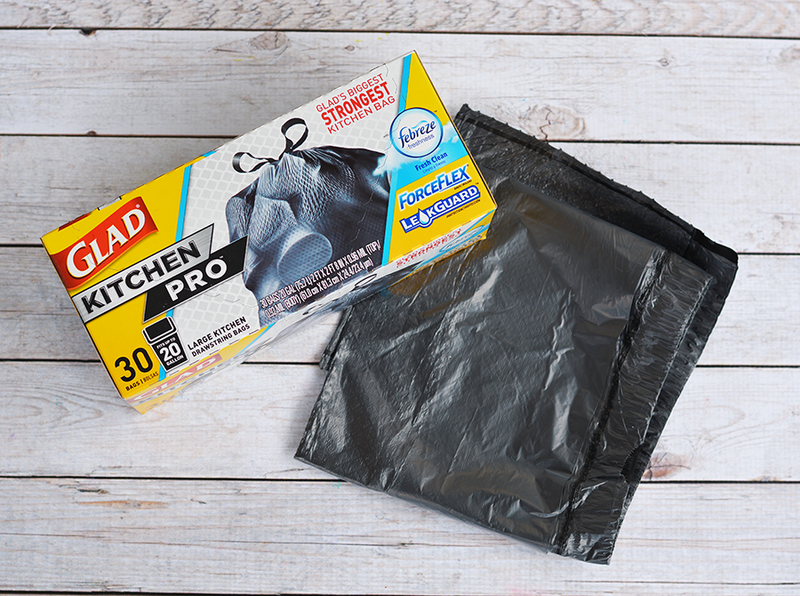 The Glad Kitchen Pro Trash Bags feature a double bag protection making them strong and durable. The outer layer of the bag features LeakGuard for added leak protection, while the inner layer is made with the unique diamond texture of ForceFlex technology for tear and puncture protection. And Febreeze freshness for a guaranteed 5 day odor control. 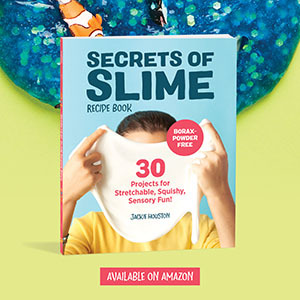 Stock up on your own Glad Kitchen Pro Trash Bags available at Target The first step into tackling your kitchen clutter is to throw away what you don’t need. Now let’s be honest: What has been collecting dust? Do you have broken dishes, warped pots and pans, broken utensils, expired food…GET RID OF IT ALL! Start by tossing any leftovers you have that are no longer fresh. Add the dirty containers to the dishwasher or sink as you go. When organizing your food in the fridge store them in containers and baskets to maximize storage space. And to make sure you keep track of leftovers use this brilliant hack where she keeps a list of what leftovers are in the fridge and what’s expiring soon to reduce the amount of waste. Spices are on thing that quickly fall into an unorganized mess. The first step into decluttering your spices is pitching the expired ones. Grab your Glad KitchenPro Trash Bag and throw out your expired ones and make a list so that you know what spices you’re going to need to replace in your spice cabinet. Then decide how you want to organize. 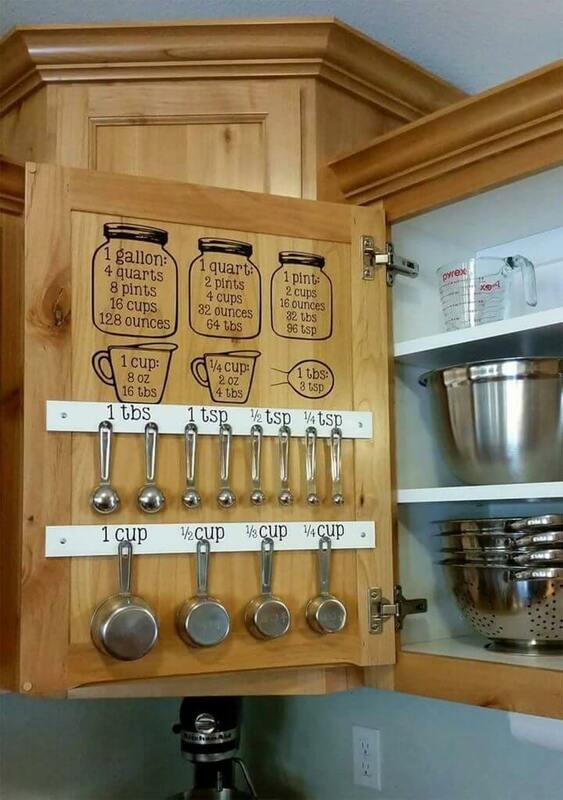 Two of my favorite ideas I came across on Pinterest is this DIY Pantry Spice Rack that includes spice racks on the back of a door, and the other is this Magnetic Spice Rack using small mason jars and magnets on the side of the fridge. Clear Countertop Clutter Keep the counters clutter free by storing extra items somewhere else. These items could be stored in the cabinet above your refrigerator or even the drawer under your oven. Utilize every space! 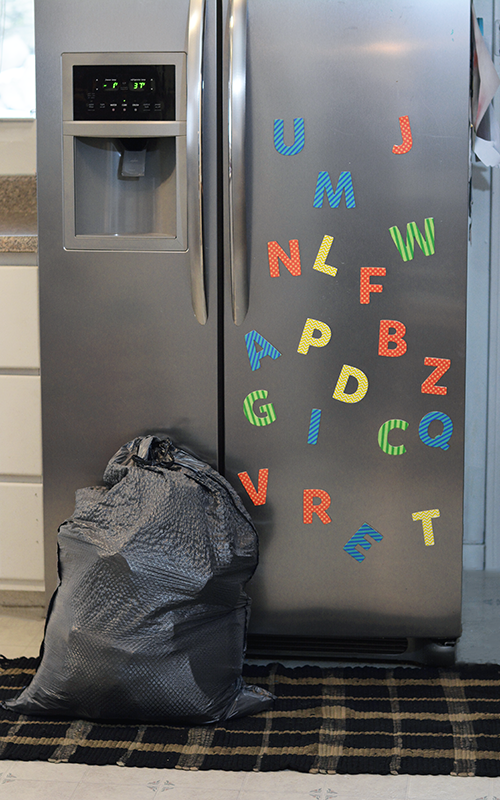 Store appliances that you rarely use, they’re huge and can often be an eye sore. 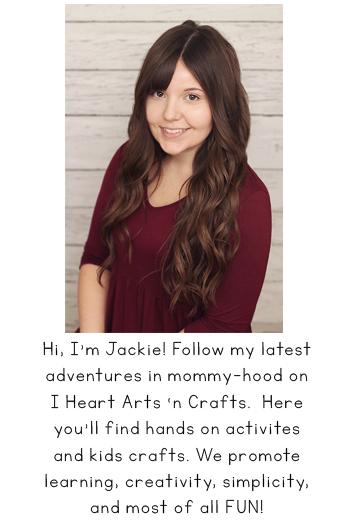 Things like blenders, coffee makers, mixers, slow cookers, juicers, and seasonal items. Organize Baking Supplies I always seem to accumulate tons of different sets of measuring cups, I usually end up losing one and having to buy another set. One way to keep track of them is to hang them up so they’re easy to get to and keep track of. I also love the conversion decal that you can put above it! After you’ve discarded what you don’t need, it’s time to organize what you have. 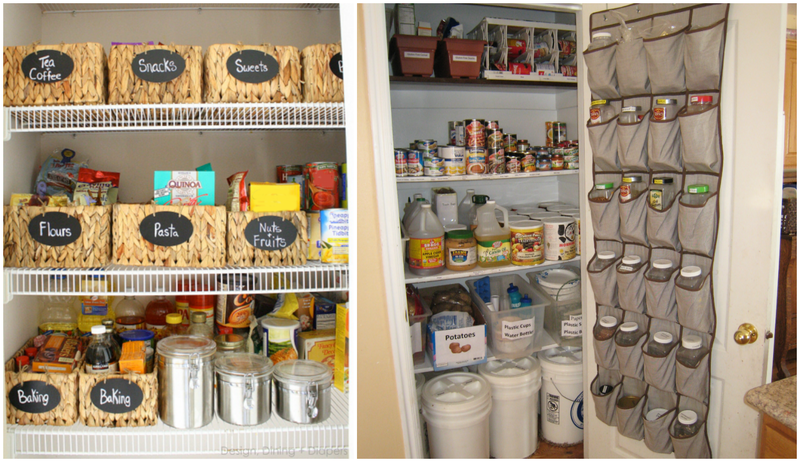 My favorite way to organize our pantry is by using baskets, that way you can group items together and maximize space. Another neat hack is to use an over the door shoe organizer to store things like large seasoning containers or packets. Under The Sink – If you have a mess under your kitchen sink cabinet, here’s a super easy and cheap solution, and all it takes is 15 minutes, a tension rod and some plastic baskets! View the tutorial here. 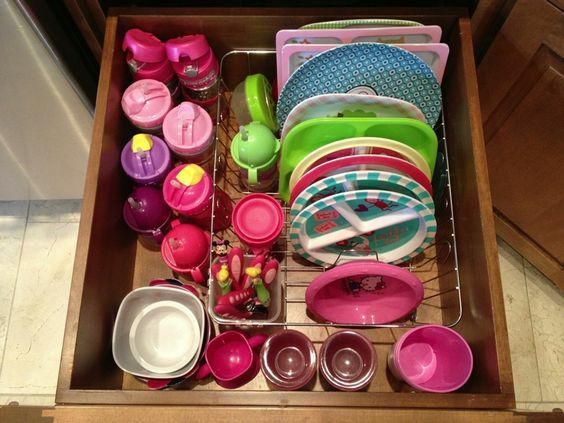 Sippy Cup Organization When you’re ready to tackle the kids drawer of their kitchen utensils, sippy cups, and character plates, you can use a dish drying rack to organize it all! This is a lifesaver! Otherwise mine is a complete unorganized mess. Cabinets – I usually start with the tupperware containers here, and discard of any mismatched ones. You’ll also want to check your pots and pans for signs of wear and tear. Then set out all of your food to go through expiration dates and throw out anything expired. If these items are still fresh according to the expiration date, donate them to a local food pantry and enjoy the extra space in your cabinets. Junk Drawer – Because every family has one…or a few. If yours is in your kitchen do the same method you did for your countertops to pick out what doesn’t belong in the room, what’s going to stay, and what’s going in your Glad Kitchen Pro Trash Bags. The more that you throw out then the easier it will be to organize later! So what’s is still lurking in your kitchen that needs to take a hike in 2017? Once you’ve conquered decluttering your kitchen with Glad Kitchen Pro Trash Bags, it’s all ready to be cleaned and organized!